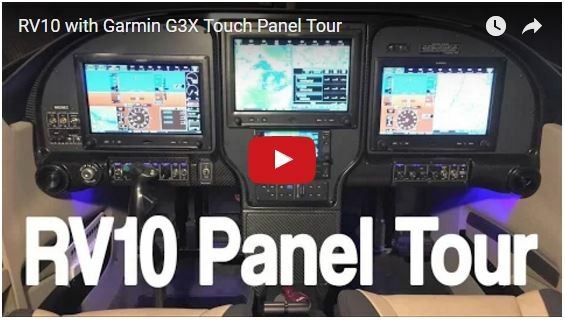 Instrument panel walk-thru video - Good. Plane. Living. If a picture is worth a thousand words, at 30 frames per second, this video is worth 60,720,000 words! Hello. Just wondering how you did the engraved backlit panels for the various switches and knobs. Did you draw it and have someone laser engrave it, or did you have a way to do it yourself? If someone did it for you, who? I designed the switch label placards in SolidWorks (CAD software), and send the files to Aircraft Engravers. They can make engraved adhesive placards that work well with back lighting. Great video! I look forward to seeing future videos. Quick question….is the RV10 IFR certified? The reason I ask is because I do a lot of 300nm+ trips (almost weekly) and I always file even if vfr conditions. I just like having the extra set of eyes watching me and to be able to cut through the class B here in Charlotte, NC. I am in the market for a plane because I’m paying too much renting every week, and just started the search process. Just need to make sure that whatever I start to investigate is capable of instrument flight. Your Garmin setup and autopilot seems to fit the bill but just didn’t know if the FAA limited to ‘Experimental’ aircraft to VFR only. Hey Mike. My plane is fully IFR certified. I’m actually in the processes of getting my IFR ticket in this plane. There is no VFR limitation on experimental, but you do need to have a certified IFR navigator in the plane, and mine is the Garmin GTN650. Hi Ed. I am building an RV-10 with a triple G3X Touch panel in France, and inevitably I found your site and videos. You have a great-looking panel, it’s very encouraging to see! – At the height it’s positioned, the GTN650 is too long (21.25”) to fit in front of the sub-panel, isn’t it? Did you have to cut out the bottom of that sub-panel? FYI, I am not planning to use the GTN650 because getting an Experimental approved for IFR is very hard in Europe. Instead I will put a couple of GTR225A radios because we need the 8.33kHz spacing. I have the Aerosport 310 panel. – How did you mount the rails holding the GTN650 radio stack without having screws or rivets show on the front panel? I am wanting to build an rv10 and am starting to learn about them and the options. So out of curiosity in your set up would replacing the middle mfd with a gtn 750 and getting rid of the 650 give you just about the same capibilities in less space and if so why go with what you did? Hopefully I did not miss that part of your blog o have not read the entire thing yet. A 750 would be nice, but I find it far more useful to have a large MFD available to the pilot. During flights, that’s the screen I use more that any of the others! The GTN is really only for controlling IFR flight plans. – I did put a small notch in the sub panel for the GTN. – I built the rails out of angle aluminum and bolted it to the aluminum substructure panel that the carbon fiber panel attaches to. That way I can remove the entire center panel without pulling the radio stack. I have a number of build posts that have pictures of the setup.